We know that “Jay” has at least one Coupe version of this Fiat Topolino. And apparently he not only fits in it, but has enough space to be able to drive it. 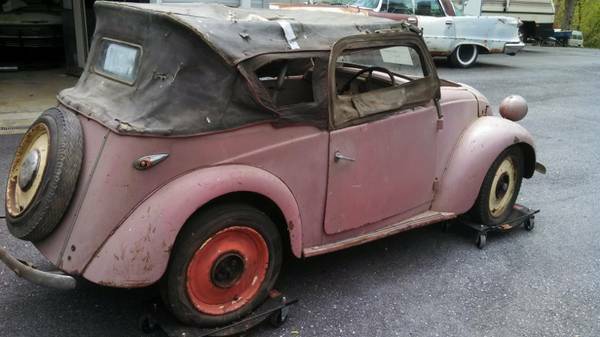 Listed here on craigslist in Washington, D.C. is this 1937 Fiat Topolino Convertible priced at $18k or best offer. The ad does not say if the “guard cat” is included or not. Having one around in the “car yard” may help keep the mice away. But wait, one of the translations of topolino is “tiny mouse”, maybe it does all make sense? 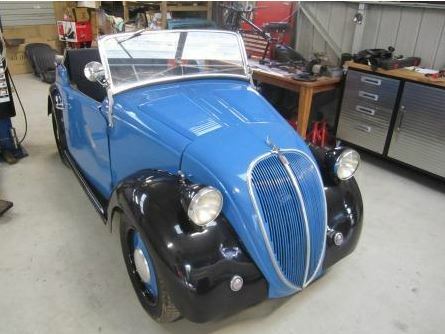 This Topolino, as per the seller, is one of 200 made for the Australian market. 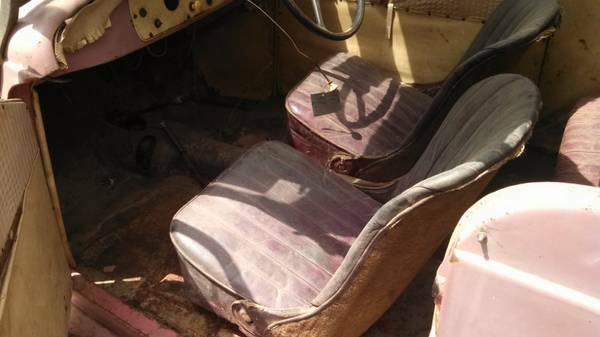 It is a right hand drive car and are those the original seats? It looks pretty complete in it, but is pretty rough. 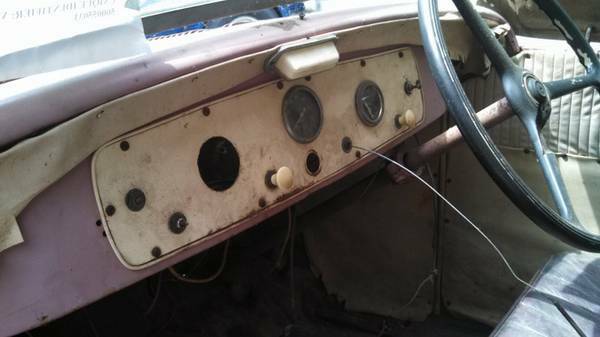 The dash is missing some of the gauges. Is that the choke cable pulled out of the dash. 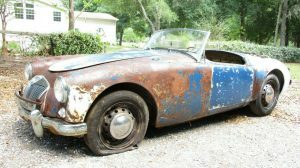 The seller says that the car is very solid. We don’t see any daylight coming up from the floor which is a good sign. 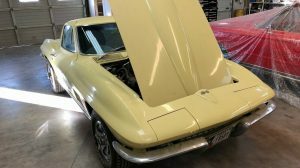 If you want to know if the engine is included and if it spins you will have to contact the seller Monday through Friday from 8 A.M. to 5 P.M. as per the ad. 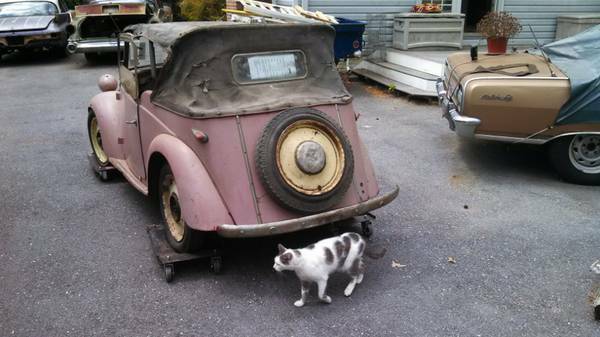 The seller says that this ’37 Topolino needs a total restoration. 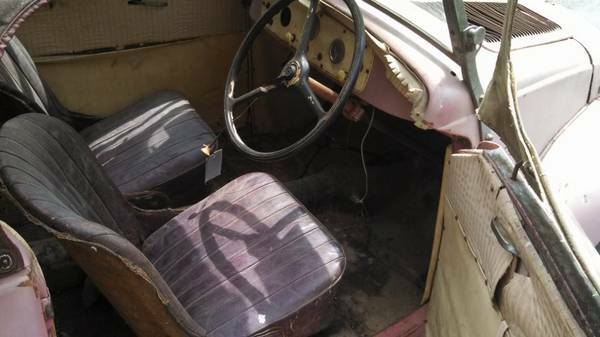 The seller asks, “restore or street rod?” Have you ever seen one of these? If Mr. Leno doesn’t have a drop-top version this could be a good one to add to his collection? This is likely going to be a “deep-pocket” project. If you are willing to, and have the resources to move this Topolino forward, the chances are you will have the only ’37 Topolino Convertible at Cars and Coffee this spring. I met Mr. Leno once and got his autograph. He is not a tall person so unless you are referring to other dimensions he should fit with little trouble. I’ll take the 64 Malibu and ditch the cat thank you very much. I agree with hhaleblian, the Malibu looks promising. Yes on ditching the cat I’m a dog lover myself. Is it an Australian special model or one of approximatley 20 Siata Smith Specials converted by Sydney Smith Garages Ltd or Purley Way, Purley, Surrey, UK? Since the ad doesn’t state no engine would expect standard Topo engine to be in place. It’s also listed for sale on UK Car and Classic site. The menu on the left side of the screen allows one to link to the Smith Special, as found and restoration, page. Lots of info and photos. As to “street rod”? Never. 200 or 20 – few likely remain and we don’t need to lose this unique slice of Italian/British or Italian/Australian automotive history. Second glance at the door configuration on the Smith Special leaves me to think it may not be one. Or were there differences among the Smith cars such as how doors were hung and door cutouts/side curtain shapes? Need a Topolino expert from the land of OZ to tell us more. Buy this one and have yourself a “Roman Holiday”. Gregory Peck rode in the back of one with Audrey Hepburn riding shot gun. 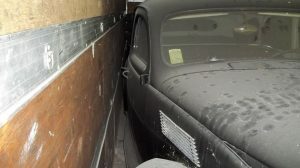 If you watch the movie, you will see some of the contortionist moves Mr. Peck had to make in exiting the vehicle. Is there some way I can locate this car or get the new owner to contact me? I have a lot of information on rebuilding it and would like to share so this one gets a good resurrection. It should have the original flat head motor and the later stronger chassis with the rear extended for half elliptic springs instead of quarter elliptics. Also 8″ brake drums instead of 6″. The last of this engine had proper lip seals on the mains and shell bearings instead of white metal big ends. I have most of the kit to upgrade it as spares if the new owner wants them. BTW the blue one above is mine. Currently all the running chassis is restored. Although the body looks good it is about to be fully dismantled to replace the entire wood frame and dipped before fixing a rusty floor. I’ve upgraded the electrics to a 2 brush dyno instead of 3 and added the later model regulator and getting an reproduction harness made to look original but with extra earth wires, indicators and dual taillights. Making 2 off would save us both. Sorry. I need to translate Australian to US. I mean a canopy not a hood for US readers. For us the engine is covered by a bonnet rather than hood, although hood is slipping into use. Just came across these posts. I own a 1938 tourer also, have had it since 1960 when I acquired it from an uncle, and restored it while at high school. These were bodied by James Flood in Melbourne, and the company told me they built about 50 tourers. I know of a total of four cars surviving in Australia, so now five including this one that has been exported to USA. They are similar to the English built Smiths Specials. Also a firm in Perth WA, called Boltons built a number of tourers on the 500A chassis, and at least one survives. They had “suicide” doors. 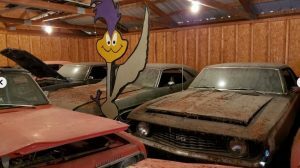 So..super rare, and early Topos are sought after in original form – the days of chopping them up for dragsters are past. I have tried to find this Flood Topolino with no luck. I would like to find out about those 4 you know of as I need to do that canopy still.